Menggunakan app APKPure untuk upgradMaze, cepat, gratis dan menyimpan data internet. Nothing you have seen in years! The new Action RPG Maze: Shadow of Light. The most fascinated Action PRG with the unique signature rendering style! 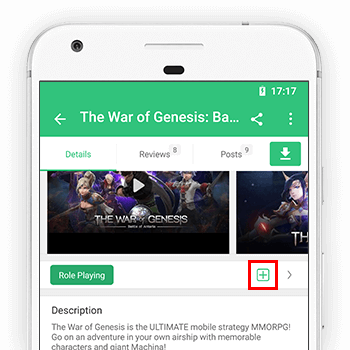 Dynamic game plays and controls with the unique ‘Tag Action’ system feature included, which enables players to swap between their Heroes and Guardians to activate with combo chains to bring down the enemies! ● The epic synergies between Heroes and Guardians! Must overcome the fearful enemies with the help of both Heroes and Guardians! Enchant your sacred cores to strengthen your Guardians! ● 50 stages of the epic story line! Find the blessed relics and take down the evil Diabolus! For the Tera! Must survive to find hidden relics in the maze of the unknown, where the monsters await you as the way you cannot imagine! Test your true strength up against the enemy in real time mode! Total 7 different grade range of all equipment parts! ● Adventure with the followers! Assign followers to complete quests! And receive exclusive rewards! This allows to install the application on your external memory space when your internal memory is full. This will not access your photo or video library.